Everyone knows Venice. Whether from a day-trip with the heaving throngs of tourists; through a camera lens furiously trying to snap each and every landmark and gondola; or maybe you have just seen it on the box or in magazines. It really is one of those iconic cities, like Paris. A place that other vibrant but not quite iconic cities are constantly compared to (you've all heard it before...the Venice of the east/west/south, etc...Well, in this case it is just, Venice). This was my first trip to Venice. We were lucky enough to stay at the Aman Grand Canal; yes, the same Aman Grand Canal where Mr. and Mrs. Clooney celebrated their nuptials 2014 (more on that a bit later). From the moment we first arrived in Venice, by boat direct from the airport, I was absolutely besotted by this totally enchanting place. So, I thought I just had to share a few of tips and ideas with you from our wonderful time there. A little background and health warning first, to get your head in the right place. While we were in Venice, as always, we tried to find things off the usual tourist trail to do, as well as hitting the must-sees. I've got to say that in a destination like Venice which is totally committed to tourism for the backbone of its economy, a complete authentic Venetian experience going to be near impossible, especially in four days, which is what we had. So, my first tip for those of you heading to Venice is to let go of ideas of having some sort Lonely Planet purely authentic Venetian hoity-toity travel experience and lose yourself in Venice for what it actually is - a place where tourists go. 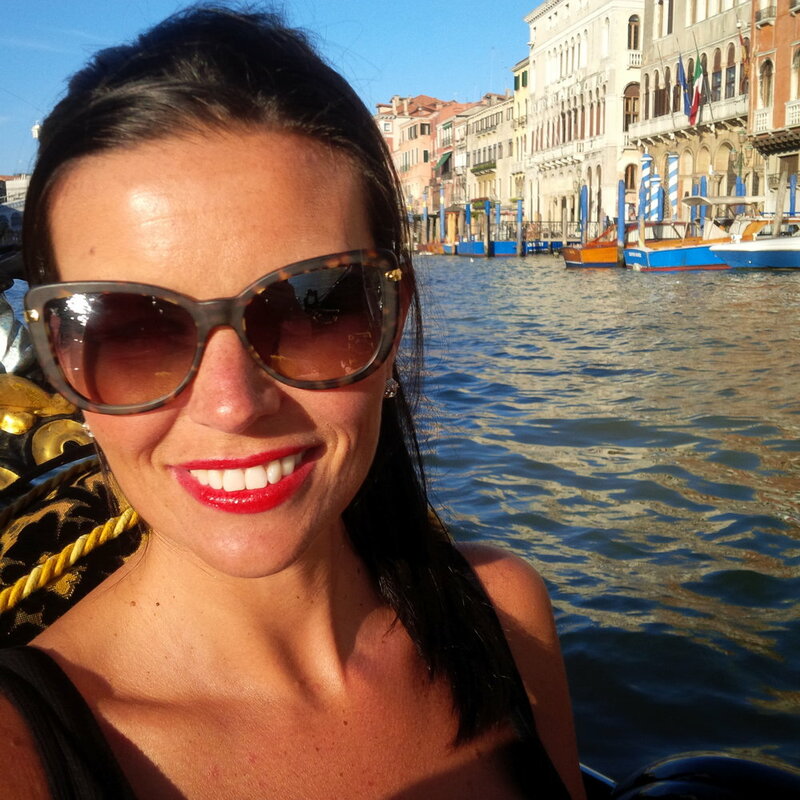 Be awestruck at St Mark's; shamelessly snap selfies on the Rialto bridge; do take an extortionately priced, kitsch but also totally romantic and memorable gondola ride through the famous canals. If you let yourself, you will have a truly memorable experience just as I did. We spent 4 fantastic days in Venice, catching St Mark's (square and the gilded gold and artwork of the cathedral); observing Venetian glass blowing; surging across the famous Rialto bridge (the oldest crossing of the Grand Canal) with thousands of others as if we were taking part in a religious pilgrimage; having sun-downers on a rooftop terrace bar overlooking a sea of terracotta and the spires of the city's churches; and of course, taking a gondola ride. Another of the things I loved about Venice was the fact that all of this was on foot. The city, being an ancient network of canals, has not a road in sight. There is something totally relaxing and liberating; something that makes you take everything in more crisply, about only having the power of your feet beneath you to get around. So, as we sat there on our last evening in Venice at Cafe Florien on Piazza San Marco being served a Negroni (for Matt) and a Prosecco (for moi) by white suited surly waiters at this Venetian institution, I came with this list of my must-dos for any trip to Venice. Everyone who goes to Venice needs to go into this amazing cathedral. When you go in, do the usual tour of the ground floor. Then before you leave make your way up an extremely narrow staircase on the left hand side before you head back out of the church. This will take you to the mezzanine floor which has a great view of the inside of the cathedral and onto the outside terrace. The terrace has an amazing view of the piazza below, the tower next door and to the sea out to the left. So beautiful, it makes for excellent photo ops. Selfie sticks at the ready. Take a stroll along the Riva Degli Schiavoni (basically, the waterfront promenade). Doing this doesn't seem to feature on the standard list of things to do in Venice but you really must. If the weather is right, and it was for us, this walk gets you out of the network of dark alley ways and canals that makes up Venice and out in the open giving you perspective on the city, the surrounding islands and at how amazing the place is from an architectural perspective. Have lunch, drinks, dinner or just visit the Aman Grand Canal. This is not just a hotel but an experience. 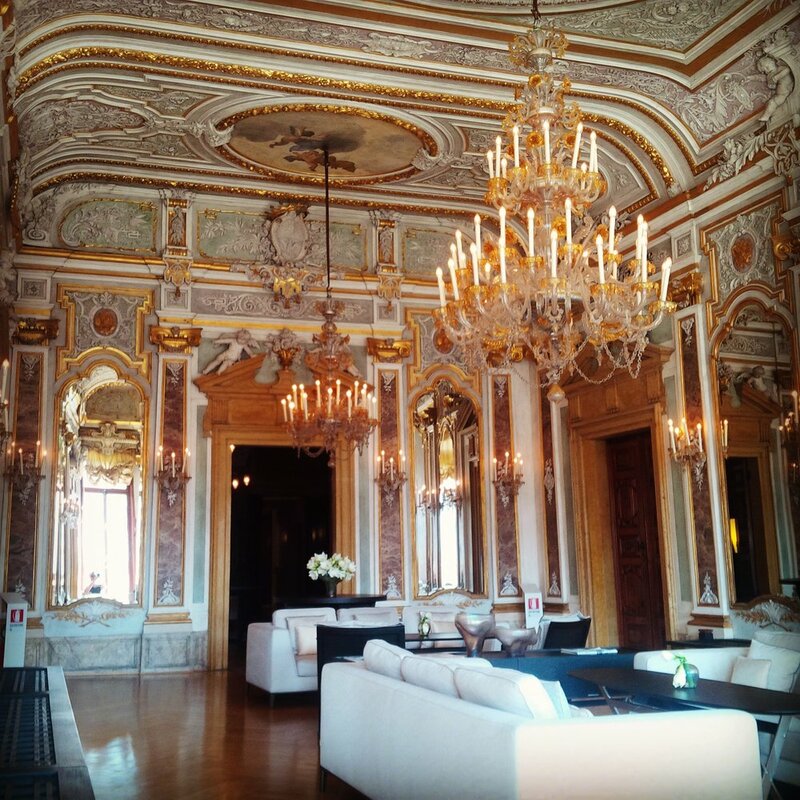 We were lucky enough to stay at the hotel for our whole time in Venice. The exterior of the 16th century palazzo is simply awesome as it rises up from the waters of the Grand Canal. The guest rooms, all public spaces, the many, many lounges, the bar, and the Red and Yellow dining rooms can only be described as works of art; with frescoes and renaissance art hanging on every wall. Staying at the hotel was a combination of feeling and being treated like a movie star, and living in a museum. The environment is serene in every sense. Everything looks, smells and is...immac. The Yellow Dining Room is breathtaking, with a matching view to the bustling Grand Canal below. The hotel also has two private gardens which are just beautiful and unheard of in Venice (so we were told). Have coffee or drinks at Cafe Florien. This legendary cafe right in Piazza San Marco has been serving Venetians (and now the global tourist) coffee since 1720. When we were there, a live opera singer and string quartet played as we enjoyed our drinks in the setting sun. The view can only be described as iconic and will impress itself in your memory forever, as you stare out over the flagstones of this famous piazza to the Cathedral and towers. I would not let you down by not providing a shopping recommendation. There are some great little shopping options to be found in Venice. While we did not have enough time to truly commit to shopping on this trip, do walk down Calle Larga de l'Ascension and Calle Frezzeria. There is an excellent selection of brands and boutiques on these streets that are well worth the short diversion from your sightseeing agenda. And of course, last but not least, you must take a gondola ride. Venice was a destination of iconic moments and experiences. For me, the highlight of all this was our gondola ride. It was fantastic, no matter how touristy an experience it is. For those of you born and bred in the UK you will probably remember the "One Cornetto" TV advertisement from the 80s and 90s. As we punted our way through the narrow canals of Venice, Matt even serenaded me with a couple of bars of that retro advertising jingle. Don't get me wrong. There are literally thousands of other things you can and should do in Venice that I have not mentioned (museums, palaces and galleries). This is my immaclife list of what I loved and thought you might too. Put Venice on your bucket-list if it is not there already on there. And go. I will be back there for sure.